Open to Discuss: How would you describe <website / product> in one word? As UX people know, these type of questions are really good for capturing perceptions of a website / product. So you let your service users to enter their own words or choose one or more from a list. Therefore, as result of this question you will get a lot of data that have to be saved somewhere and it is not meaningful if there are no effective analysis technique. The Question is: is there any ready tool or framework to use in order to capture those data and analyze it so that we can get benefits from it (for instance a sentiment analysis)? I am unfamiliar with sentiment analyses (apart from a quick Wikipedia lookup! ), but from an academic perspective, this is touching on UX research using qualitative and quantitative methods. If I had to work with this situation, I would have used the word association (which is essentially a quantitative survey) as a gateway technique to meeting the critical users: the unhappy users that you may lose to your competition. Let's say someone describes the website/product as 'good' - well -- why is it good? Maybe you leave it at that. How about 'bad'? Their reason for choosing1 or writing that particular word is definitely something you need to know about as a UX advocate - and qualitative research methods (such as an interview or focus group) can be employed to probe these users further. Using just the survey is fine for doing a 'temperature check' of how the users experience the website/product. However, to really get the benefits, I would recommend digging deeper. In this approach, your tools would be the research methods (survey, interview), and your framework would be the research methodologies (qualitative, quantitative). 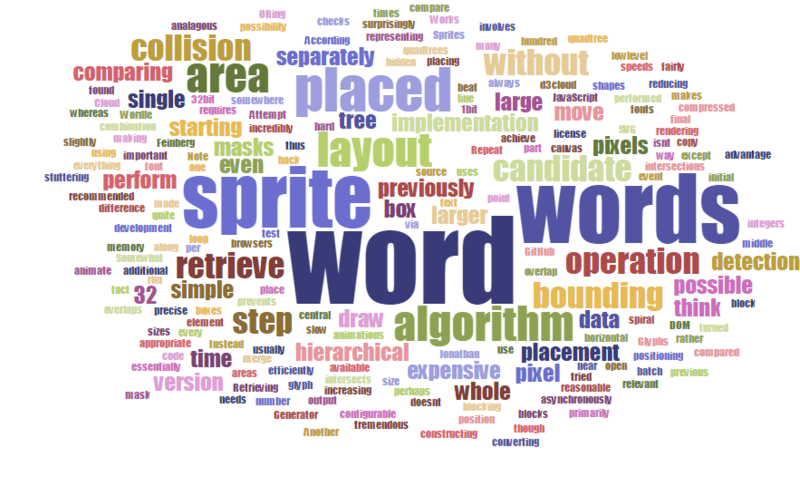 1 Having a list of preselected words makes the analysis easier as there is less interpretation to do - but on the flip side, you may 'box' people in, and lead them to pick certain words. Also keep culture in mind if this is a situation that involves multiple nationalities! Consider using google forms as it will enable you to easily create this kind of survey and get exploitable data. You will then be able to export them and get a more visual result with tools likes Word Cloud Generator. For an offline version; to avoid the necessity of inserting all the data by yourself, you may want to consider alternatives that measure users satisfaction like the System Usability Scale (SUS) or a simpler version the Net Promoter. Exploiting the data will then require doing some statistics. Not the answer you're looking for? Browse other questions tagged user-expectation ux-field usability-study surveys or ask your own question. Why would you only show a survey to one in (n) visitors? How would you classify UI/UX issues as show stoppers for product release? How do you tell users about surveys? How to describe what UX Developer does? Do you need different set of user to test different platform of a product?